High tech weighing with high capacity. The DSX-W is the top of the range model. 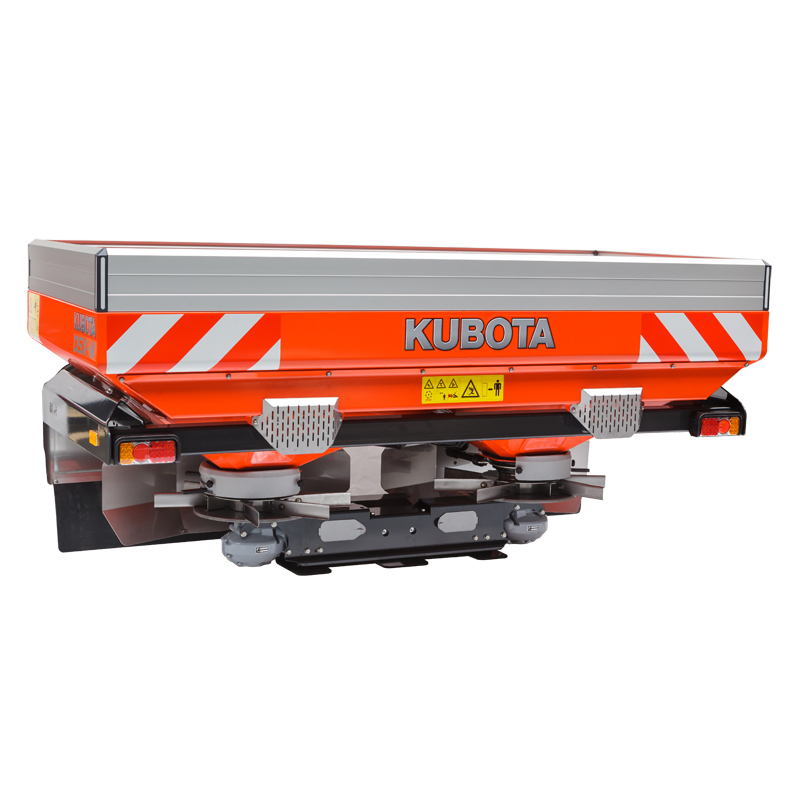 This ISOBUS 11783 compatible weighing spreader is equipped with an unique reference sensor. 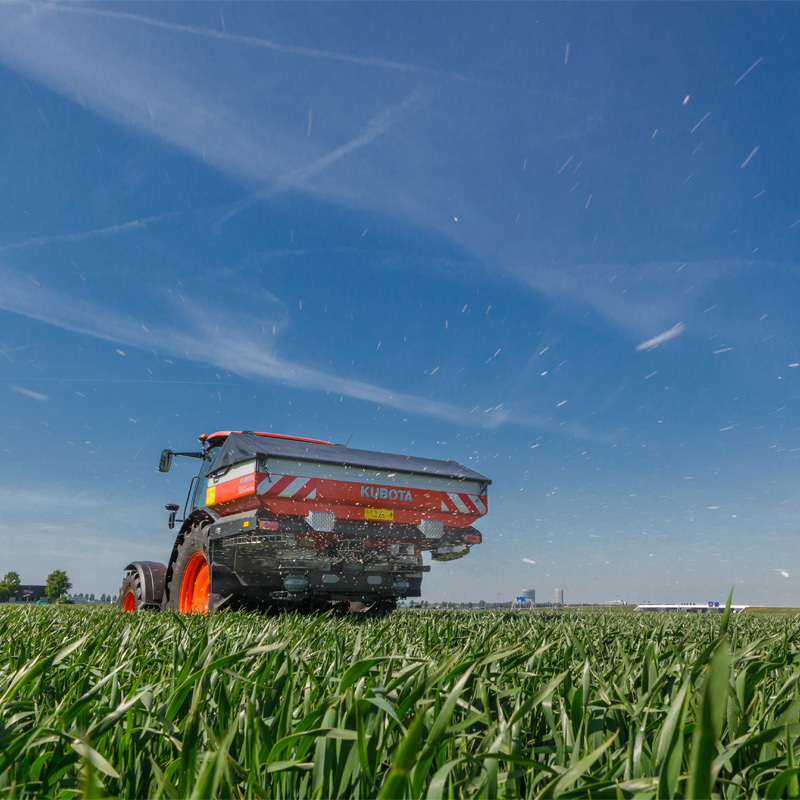 The FlowPilot dashboard on each spreading disc ensures simple and quick setting or adjustment. Different hopper capacities are available: two different basic hoppers of 1.500 and 1.875 litres and they can be increased with maximal 3 hopper extensions up to 3.450 and 3.900 litre capacity! Working widths from 12 up to 54m are possible. The DSX-W can be operated with the Kubota IsoMatch Tellus or Tellus GO.